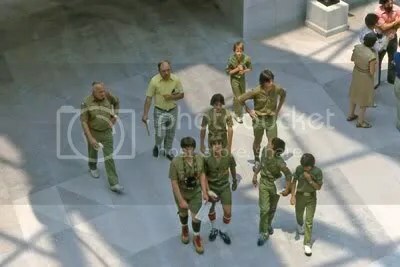 A group of boy scouts in the lobby of the National Gallery of Art’s east building. One is turning and looking up at the Calder mobile overhead. You are currently browsing the blog archives for the day Thursday, May 18th, 2006.